An Lanntair’s auditorium is an impressive multi purpose space which can host a wide variety of events, conferences and live performances. In addition to our own year round programme of performing arts and cinema, the auditorium can be hired by external parties throughout the year. 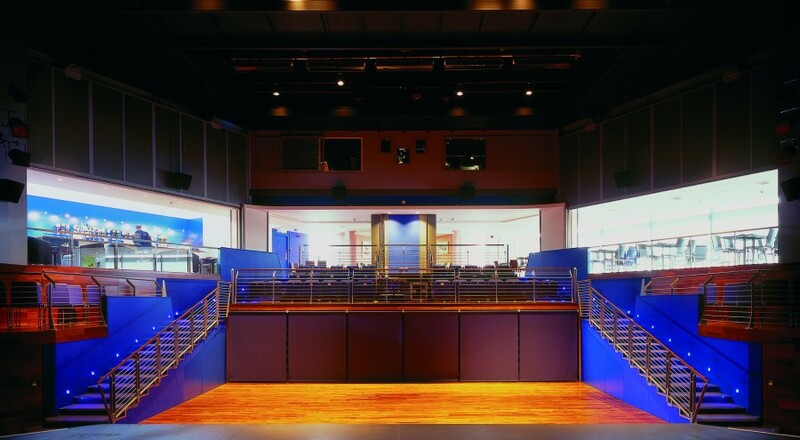 The space can accommodate up to 220 people in a variety of configurations, has removable raked seating, and features a unique system which lifts the walls to the bar and restaurant, transforming the venue into an exciting space for larger events. Full technical support is also available. And find out about hires here.